REHANCE allows us to print waterbased inks on a dark t-shirt, something difficult for other printers to accomplish without harsh chemicals. 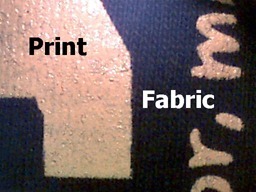 Our inks become part of the shirt, rather than sitting on top of it, resulting in a print you can’t feel, and won’t crack, peel or fade over time. 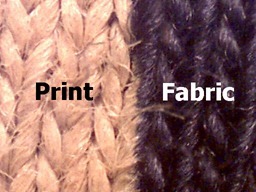 It’s more expensive than tactile inks, but provides superior durability. 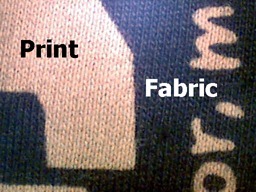 Tactile inks – the choice of most screenprinters – use a plastic coating to cover the surface of the fabric with a design. 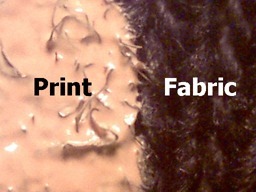 This is a less expensive option, but results in a print that can peel and chip away over time.